In entrepreneurship, female founders are still few and far between. However, they certainly are on the rise. According to a study done by Kaufman, female entrepreneurship saw the biggest increase in the past 20 years. Every month, 260 out of every 100,000 women choose to pursue their dream of becoming an entrepreneur. In addition, a report by the American Express State of Women 2016 stated that four out of every 10 new entrepreneurs are women. Finally, a 2016 PWC study showed that the growth of female billionaires is actually outpacing the growth of male billionaires! Women know what they want — and they’re going for it! But this hasn’t always been the case. In fact, go back a mere 10 years and the ratio between male and female startup founders was much more lopsided, and it was a far less inspiring environment for women with big dreams. However, personalities like Sheryl Sandberg, Arianna Huffington and Oprah Winfrey have made great strides in shifting that stigma, and helped pave the way for other women in business. We are now in the golden age for women in entrepreneurship. Even Shark Tank host Kevin O’Leary is betting big on women, saying in an interview with Business Insider, “All the cash in the last two quarters is coming from companies run by women. I don’t have a single company run by a man right now that’s outperformed the ones run by women.” Of the 27 companies in O’Leary’s portfolio, 55 percent have female CEOs. Details like this tend to get lost in the larger narrative around entrepreneurship. While Silicon Valley and its fraternity culture is hailed for building innovative businesses operating in the red, women who are building real businesses generating real cash tend to get little limelight. The lack of attention doesn’t seem to be slowing down the momentum of these female entrepreneurs, though. According to the Global Entrepreneurship Monitor (GEM) survey, there was a 10 percent increase in the number of women involved in entrepreneurship from 2015 to 2016. Contrast that to the five percent growth for males, and women may soon be more influential in business than anyone currently realizes. It’s important for women to take note of these inspiring stats, and start making decisions accordingly. Too often, female entrepreneurs shy away from pursuing their ideas because of the notion that their gender will hold them back. But as we’re seeing, there are plenty of brilliant, talented, persistent women who are proving that just because there are obstacles, it doesn’t mean the path is impossible. What is responsible for the rise of female entrepreneurship? Experts quoted by CNBC say that it’s a combination of marketplace trends, VC firms and angel investors with female leadership teams, combined with an increase in available mentorship opportunities for young women in business. From incubators and accelerators to YouTube channels and master classes, there are many resources for aspiring female entrepreneurs to take advantage of that did not exist even five years ago. However, while female entrepreneurship is booming, female founders still have a long way to go to make a large economic impact. Only three percent of women-owned firms in the U.S. generate more than $500,000 in revenue, according to the 2016 State of Women-Owned Businesses report. In addition, a mere 18.6 percent of companies with 500 or more employees are owned by females, or are equally owned by men and women. In part, this is because women tend to earn less than men in the workplace. 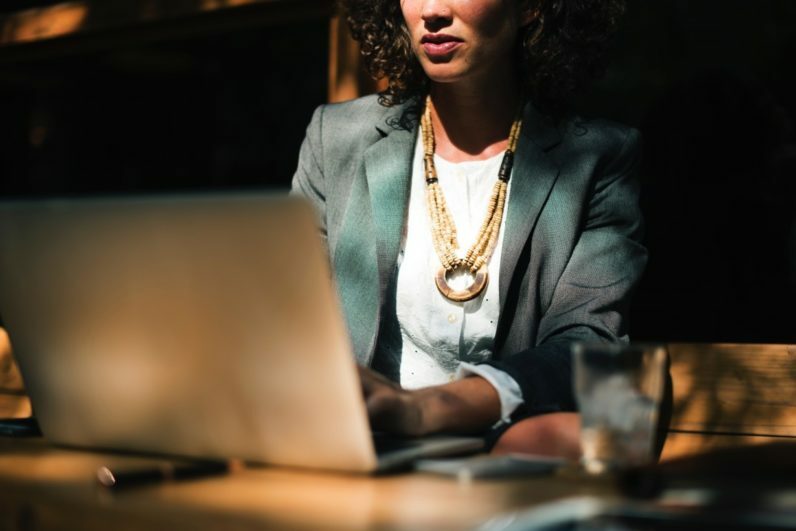 Bloomberg noted that firms with female founders received an average of $77 million in venture capital, while firms led by men received an average of $100 million. Thus, not only do women tend to make $0.70 on the dollar; they also receive significantly less funding than men. If nothing else, these statistics should inspire today’s female entrepreneurs to grab hold of the opportunities, continuing the momentum and proving that women can be valuable assets in the business world. Female entrepreneurship today is ripe for the taking, and while we may not be at total equality yet, we are certainly heading in the right direction. To all new female founders, just remember: we’ve come a long way. But there is still more work to be done.